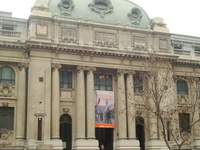 Travelers are voting Biblioteca Nacional de Chile as the best library in Santiago. You can find 1 Library in the country of Chile and Biblioteca Nacional de Chile is our members favorite Library in all of Chile. Want more? Check out our map of libraries in Santiago.